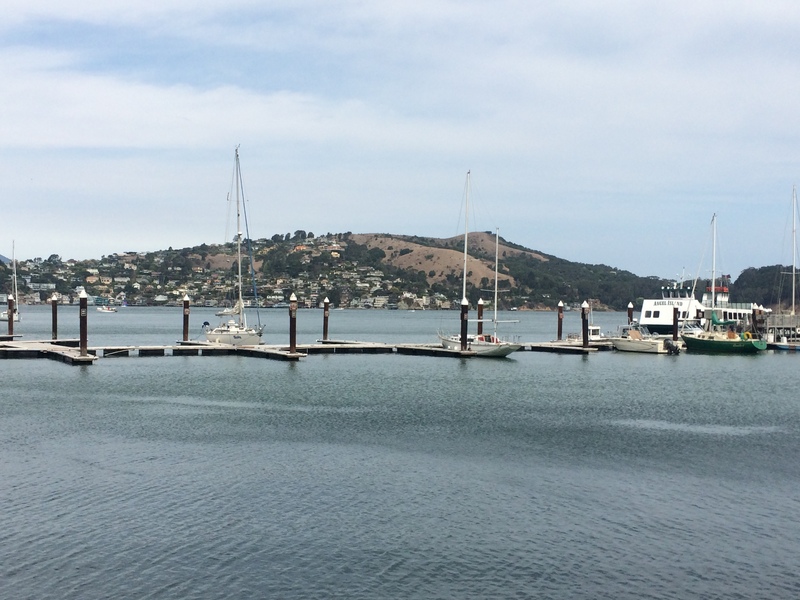 On Saturday, we took a little day trip to Angel Island. 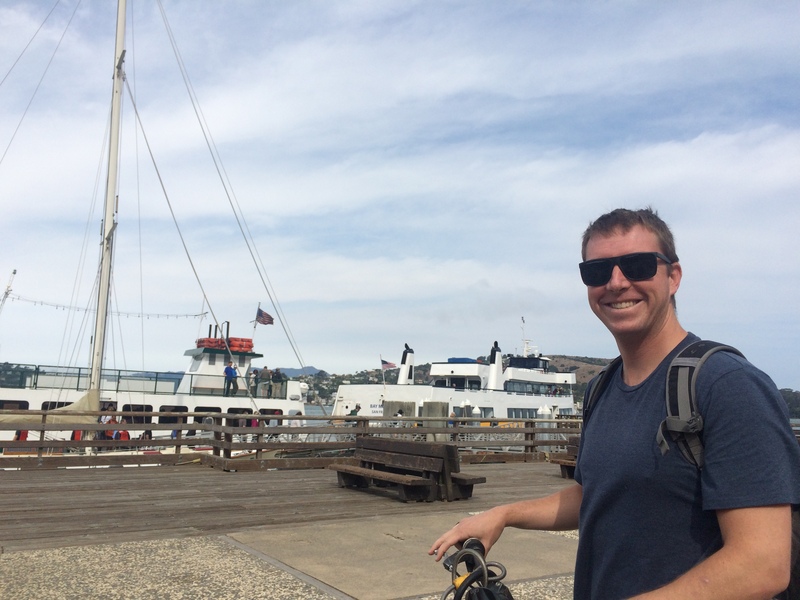 The island is located about 6 miles north of San Francisco and is only accessible by ferry. Initially, I was a little nervous that it would be too foggy, but the clouds cleared and we had some great views by mid-afternoon. We brought our bikes with us and spent most of the day riding along the perimeter of the island and visiting the historical sites. I thought the bike path would be a little flatter, but what was I thinking? Nothing is ever flat in San Francisco😕. We got off to a little bit of a challenging start (I may have fallen off my bike), but we soon got into the rhythm of the rolling hills. Our first stop was the Immigration Station. 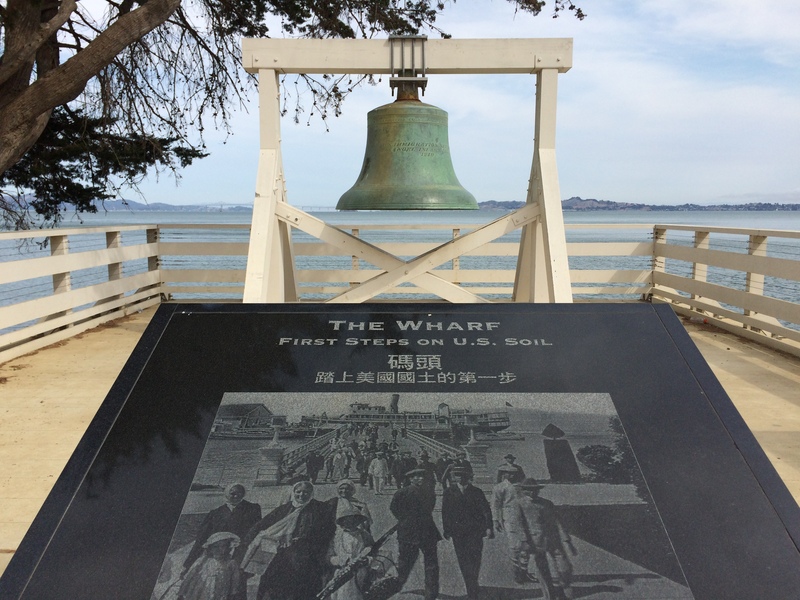 Angel Island was known as the “Ellis Island of the West ” from 1910-1940. The island was the first stop many saw when arriving to America. The historical fact that resonated with me the most was how horrible the Chinese immigrants were treated. Often the Chinese people were kept in the camps for weeks upon weeks just because they were Chinese. I love my country, but some of our history is downright shameful. 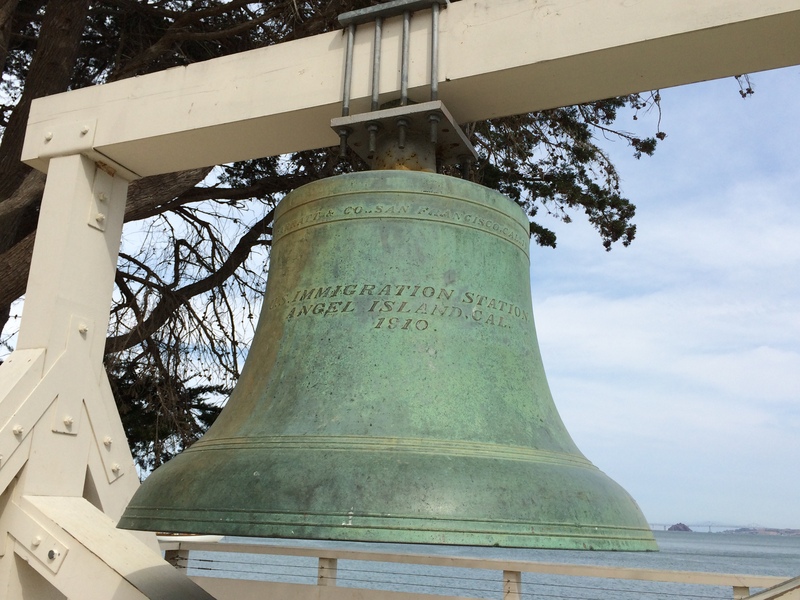 Angel Island was also home to many soldiers starting as far back as 1863. 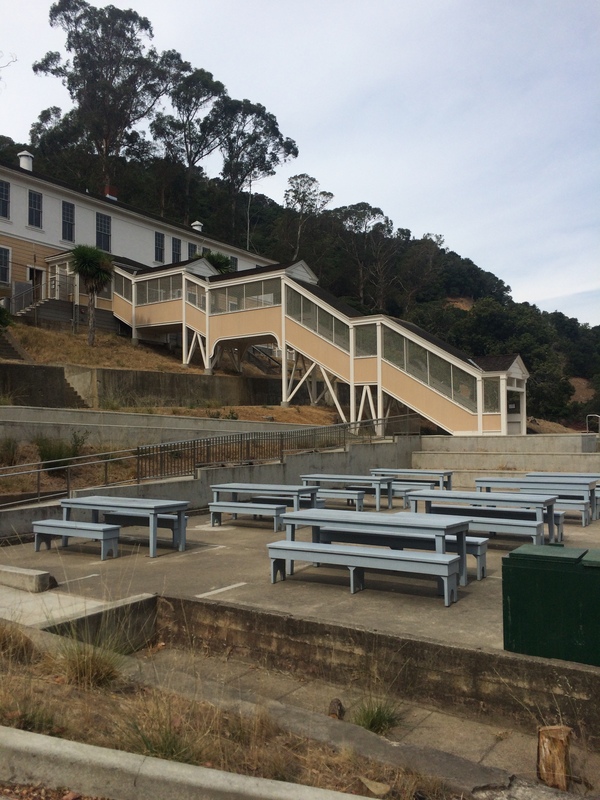 During World War II, upwards of 1400 men were housed and trained on the island. In 1962, the army base was decommissioned. 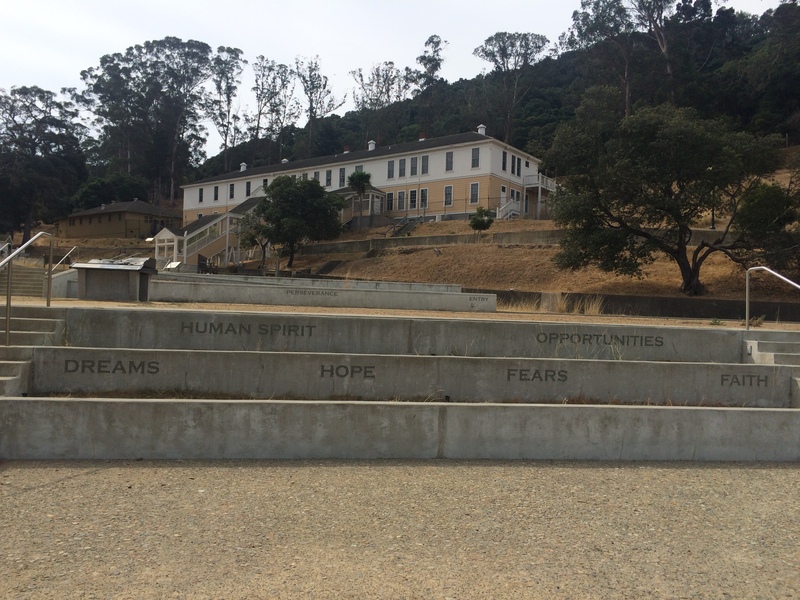 They left all of the structures so now you can explore the old barracks, jail, and museum. We also did a short hike up to the top of Mt. Livermore. The Sunset Trail was about 2.5 miles and was moderately strenuous. 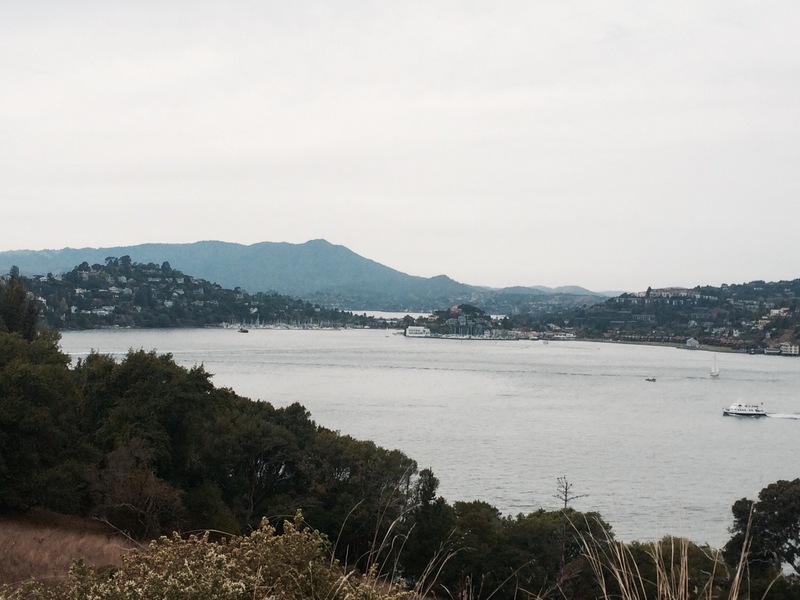 Along the trail we got great glimpses of Marin, Tiburon, San Francisco, and all the bridges in the area. All and all, we had a great day. If you are ever in the area, I recommend a visit. Thanks much for sharing! 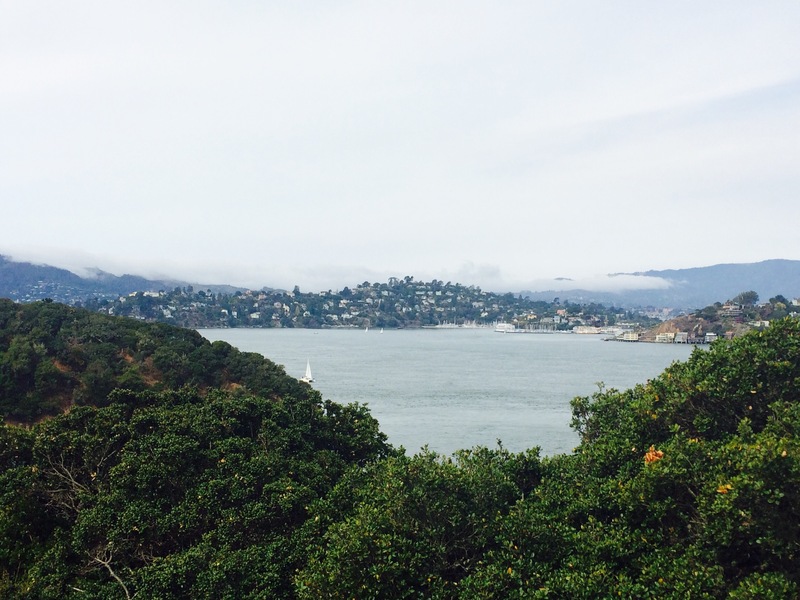 I’ve lived in sf for 6 years and never been. Now seeing these pictures I have motivation to go!